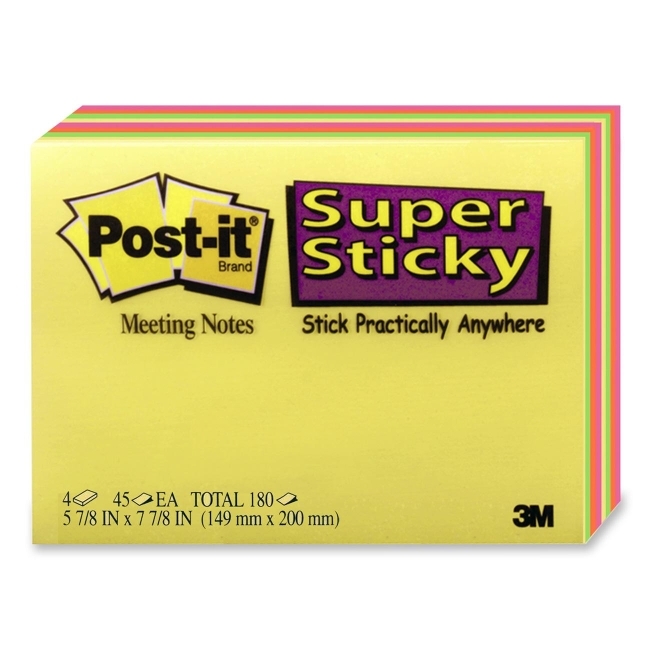 Post-it Super Sticky Meeting Notes stick practically anywhere, so you can display your notes and stay on track. 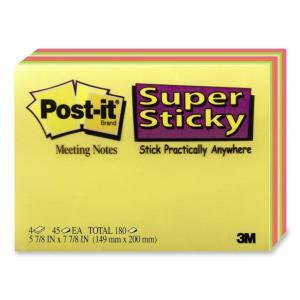 Use to post, then organize thoughts and ideas on meeting room walls. Great for making meetings more productive. Use for prioritization, brain-storming and much more. Paper used comes from well-managed forests where trees are replanted. 45 sheets per pad.